Maryam Akram reports on a hugely rewarding two days at the sixth ICRC Henry Dunant National Moot. Originally posted in the University of London’s Online Magazine, London Connection. Mooting provides an effective opportunity for law students to feel a sense of belonging with their envisaged future as Advocates and Officers of Court. Pakistan College of Law (PCL), a Registered Centre of the University of London International Programmes, has a long history of providing Mooting opportunities to its students. Students from the College have represented Pakistan on numerous occasions at prestigious competitions like the Red Cross International Humanitarian Law Moot, Henry Dunant National and Regional Moots, ICRC Jean-Pictet Moot and Delhi University’s K. K Luthra Moot, to name a few. PCL Mooting TeamThe students’ journey towards the sixth Henry Dunant Moot in 2013 began when the team – comprising of Muhammad Mustafa Khan, Khushbakht Naeem and Sarib Ikhlaq – submitted answers to the selection questions given by the ICRC. Ms Maryam Akram, University of London alumni and faculty supervisor, supervised the team. For a month the students’ work space presented the look of a law office before a big trial, overflowing with dynamic legal ideas and scary law books. Before long, the students were informed by the ICRC that, on the basis of the high standard of their answers, they had been selected to come to Islamabad and participate in the National Moot held on 20 and 21 August 2013 and organised by the National Society of ICRC. The team with all their awards. 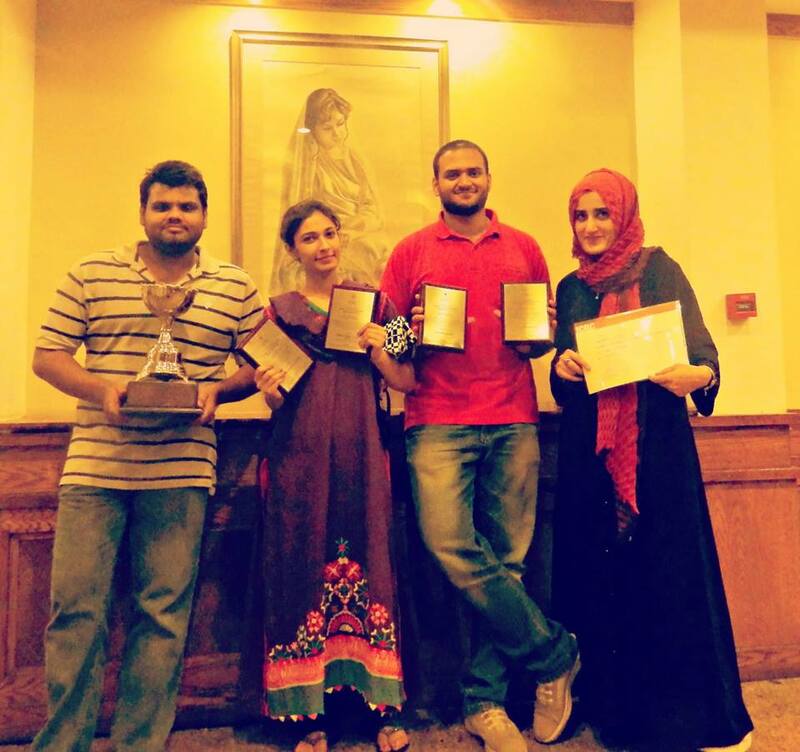 From left to right: Mustafa Khan, Khush Bakht Naeem, Sarib Ikhlaq and supervisor/ permanent faculty member Maryam Akram. During the competition, the Moot Team presented arguments for both Prosecution and Defence. The training provided by the LLB (Hons) degree programme in general, and the support of Pakistan College of Law in particular, helped the team to appreciate the intricacies of simulating this dual role. The environment of this highly competitive Moot made the Team realise the everyday difficulties an Advocate faces and the journey a law student must undertake to become a Lawyer. Every Moot competition provides a distinct sense of achievement. The PCL Mooting Team was praised by senior faculty members of distinguished universities like Islamic International University. One of the team members was applauded by a judge who was a senior faculty member of Peshawer University, for his strong command of the law and the manner in which he presented his arguments. A Turkish judge also praised the Institution that trained the team. PCL Moot Team receiving awardsThe PCL Moot Team secured the awards for Best Memorial submitted for Prosecution and Defence, Best Researcher, Best Pre-selection Questions Answered and declared the overall Runners-Up of the whole competition. After the competition, the Team commented that “the ultimate reward for us is the everlasting experience we gained on work ethics, team work, how to make professional relationships and the ability to meet deadlines. Besides this, the opportunity to meet our peers from diverse legal backgrounds and share ideas with them turned this experience into something bigger than a mere competition, which we recommend to every law student for developing a perspective beyond the legal paradigm”.